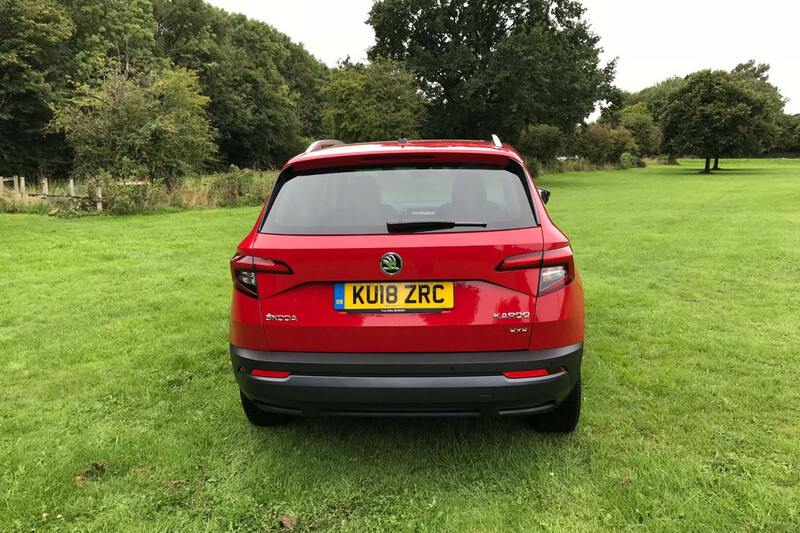 By Maxine Ashford on 2018-10-14 - Maxine has been a journalist since the late 1980s and for the past 13 years has specialised in motoring. Former motoring editor at Media Wales responsible for the Western Mail, South Wales Echo, Wales on Sunday. Freelance since 2009, Maxine loves cars but not quite as much as rugby! 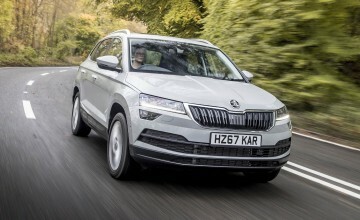 THE Skoda Karoq replaced the award-winning Yeti and together with its larger sibling - the Kodiaq - makes up the Czech marque's line-up for SUV fans. Whilst the Kodiaq offers seven-seat versatility, the five-door Karoq is slightly more compact in its design but can carry four adults with ease or five at a bit of a squeeze. 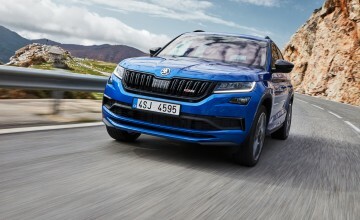 Whereas the chunky Yeti could be identified from quite a distance away, the Karoq is more traditional in its design but still looks attractive and modern. 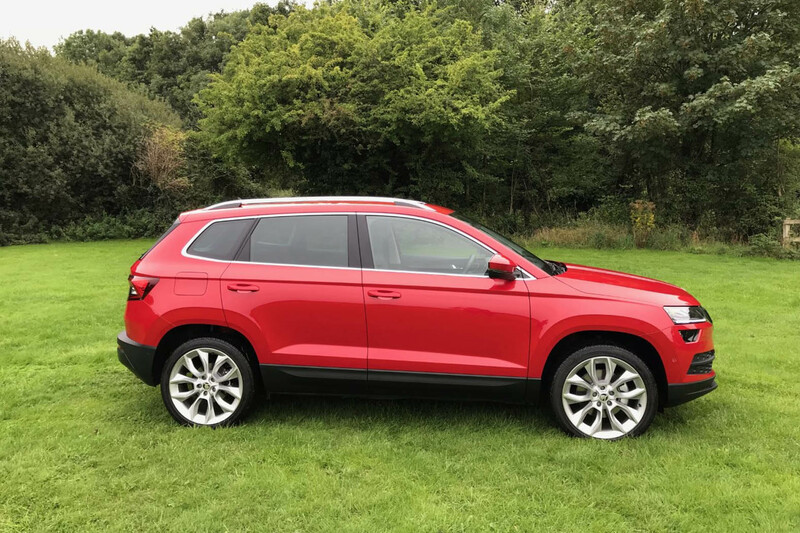 Head turning features include full LED headlights with LED daytime running lights, a panoramic sunroof, a black grille, lots of chrome trim, chrome roof rails and 19-inch alloy wheels. 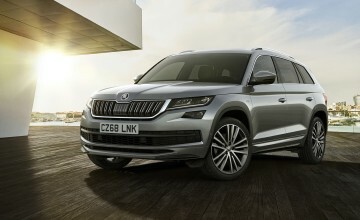 Move inside and the interior is clutter-free with plenty of on-board technology to explore. 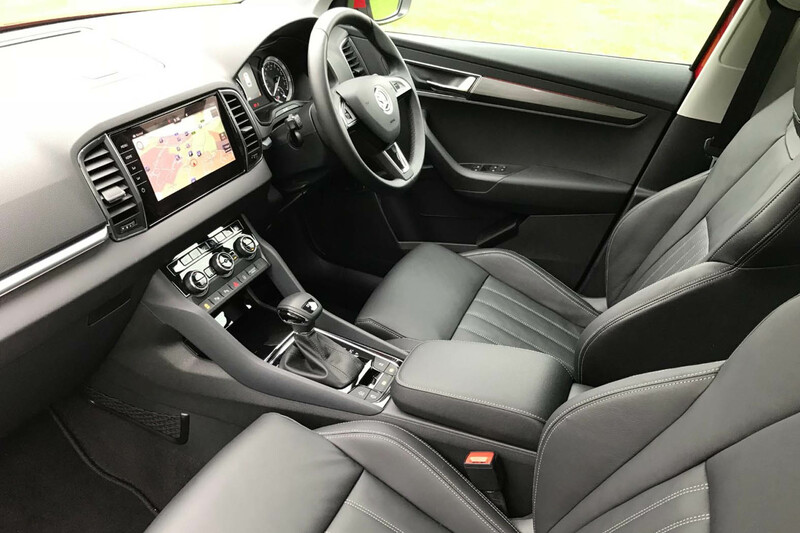 There are soft touch surfaces with chrome-effect trim on the dashboard and around the air vents, doors, gearstick and steering wheel. 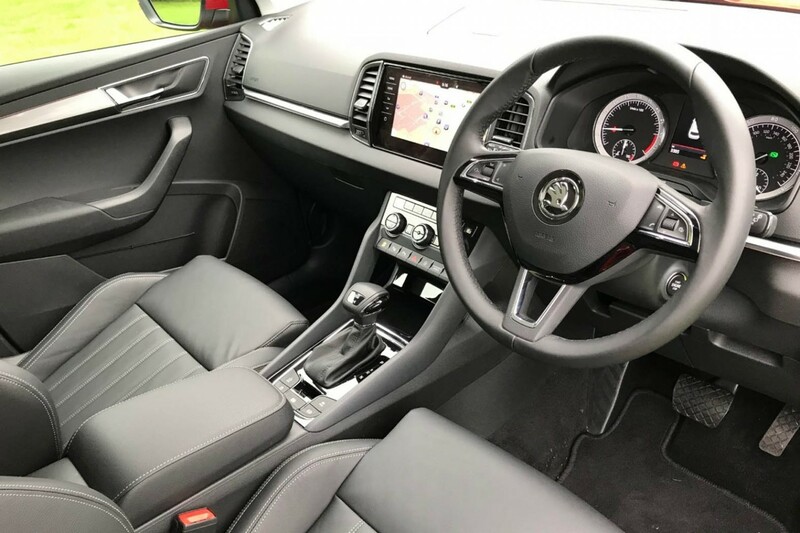 Creature comforts include heated front seats, a Columbus navigation system with 9.2-inch touchscreen with maps, SD card, voice control and integrated Wi-Fi along with gesture control. There is a DAB radio and Bluetooth, plus Smartlink+ to connect a smartphone via Apple CarPlay and Android Auto. 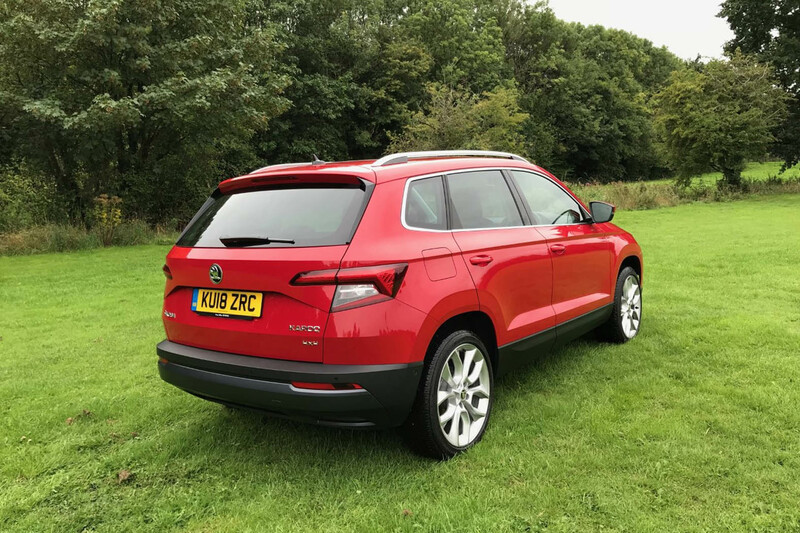 The driver benefits from an elevated seating position which offers a great view of the road and the all-round visibility is impressive. 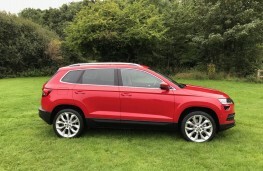 The cabin is bright with plenty of light flooding through the panoramic sunroof and if you want to shut out the sunshine an automatic blind is at your disposal. 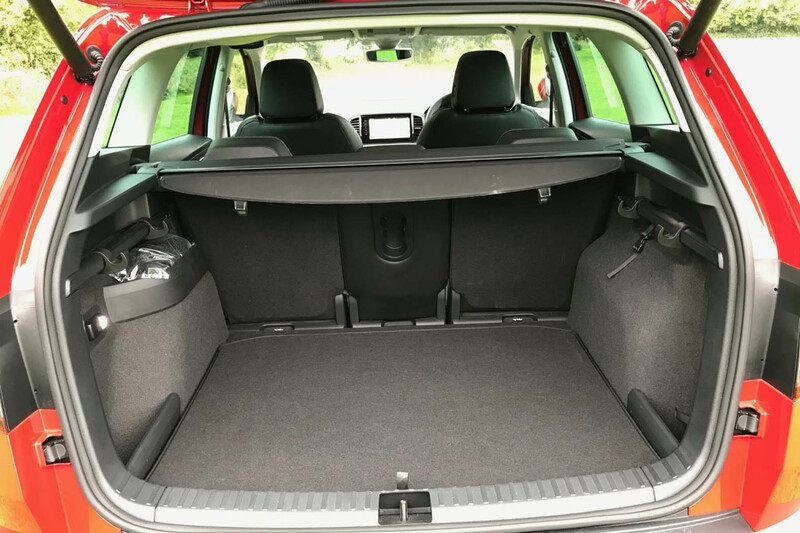 There is ample space in the back of the car for two adults to sit comfortably - a third can be added if they don't mind rubbing shoulders and there are plenty of storage options throughout the car. The powered boot has a 588-litre capacity that is increased to 1,810 litres with the split folding rear seats dropped flat. In addition, there is a glovebox, a covered tray on top of the dashboard, door pockets, fold out trays in the back of the front seats and cup holders that are positioned within the central storage compartment - this is a tad annoying as the armrest needs to be raised at ninety degrees in order to access a drink and that in turn stops air flowing through the vents to back seat passengers. But that aside, the Karoq is a fabulous all-rounder. 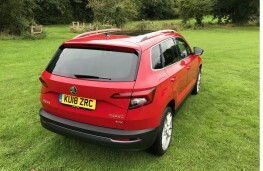 This car in Edition spec costing £32,475 (£34,640 with options) was powered by a 2.0-litre 150ps diesel engine mated to a seven-speed automatic gearbox. 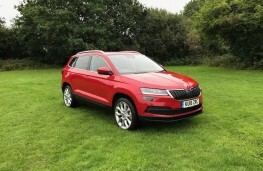 It could sprint from 0 to 62mph in 9.3 seconds, topped out at 121mph and, according to official figures, can deliver combined fuel economy of 54.3mpg with carbon emissions of 138g/km. 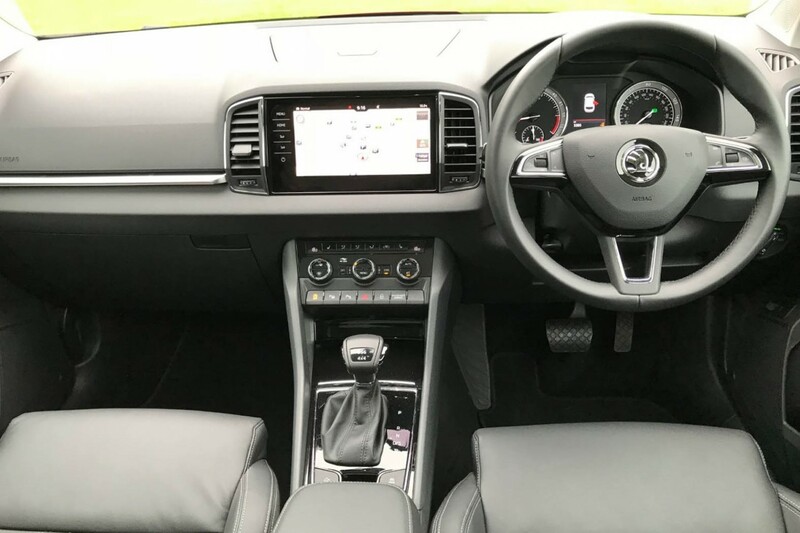 The acceleration through the gears is both smooth and responsive with steering wheel mounted paddles if you fancy changing gears manually. 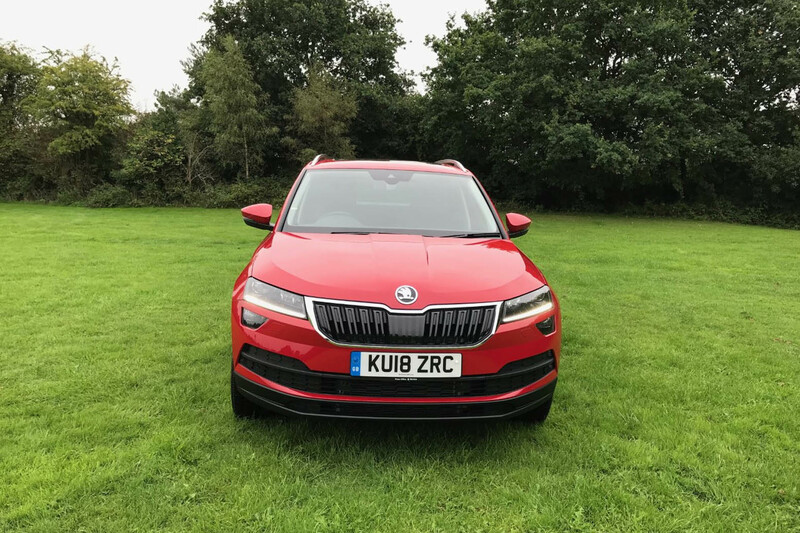 In busy town centres, the Karoq was nimble and easy to manoeuvre and the Park Assist with Steering Assist makes parking a simple process even if the gap is very tight. Out on the faster winding country lanes, the road holding was super-grippy and there was little sign of any body sway even when pushed hard into the bends. The effective suspension system does a good job of ironing out the road creases with only the more severe potholes sending the car off course. 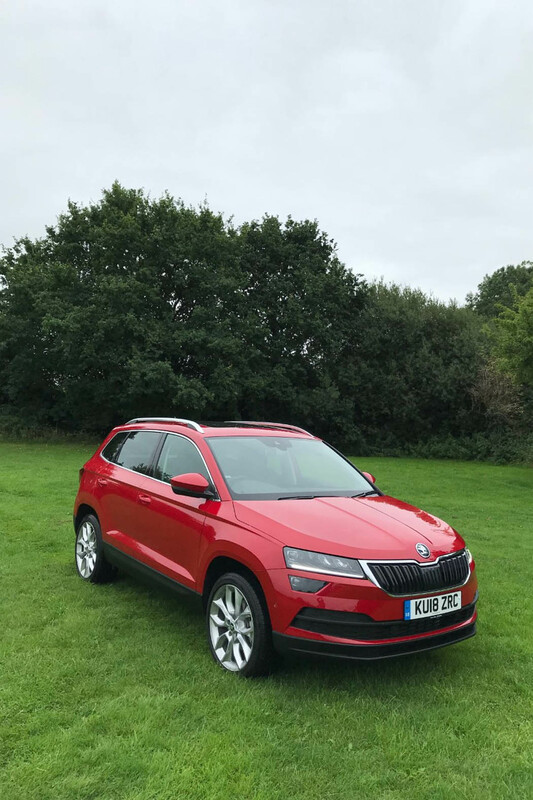 Then on the motorways, the Karoq easily held its own alongside fast-paced traffic with the road surface and engine noise only becoming apparent at higher speeds. 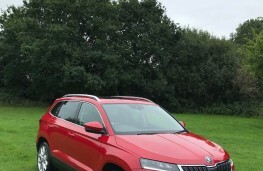 The driver can select from different driving modes called Eco, Normal, Sport, Individual and Snow and the test car also featured 4x4 capabilities to keep you on course during harsher weather and driving conditions. Skoda is renowned for adding ‘Simply Clever' features to its cars and the Karoq is no exception. 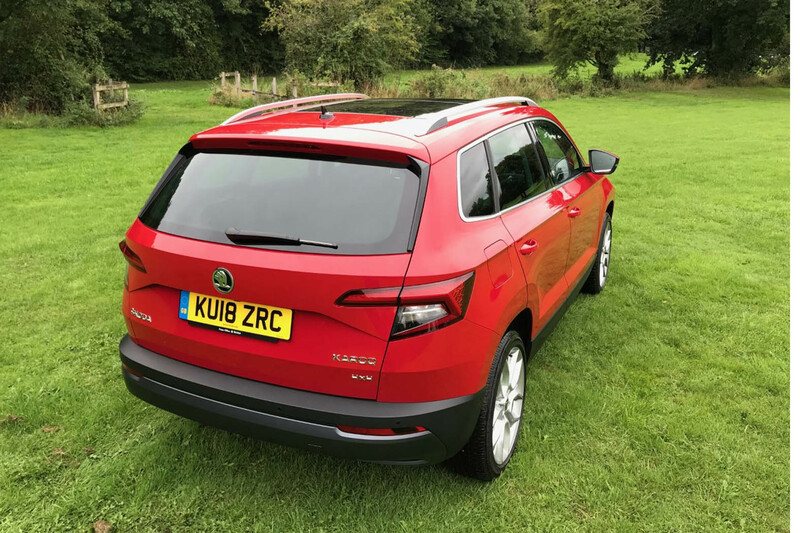 Look hard enough and you will find an umbrella tucked away in its own little compartment beneath the front passenger seat, there is a torch in the boot and a convenient bin with a lid in the driver's door - all touches to make life run a little smoother. 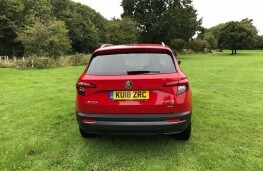 The Skoda Karoq secured a maximum five stars when it was tested for its Euro NCAP safety rating and features a number of driver aids such as blind spot detection with rear traffic alert, a driver fatigue sensor, front assist radar with automatic braking, lane assist, traffic sign recognition and plenty more besides.